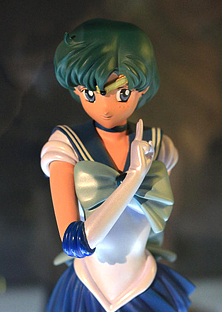 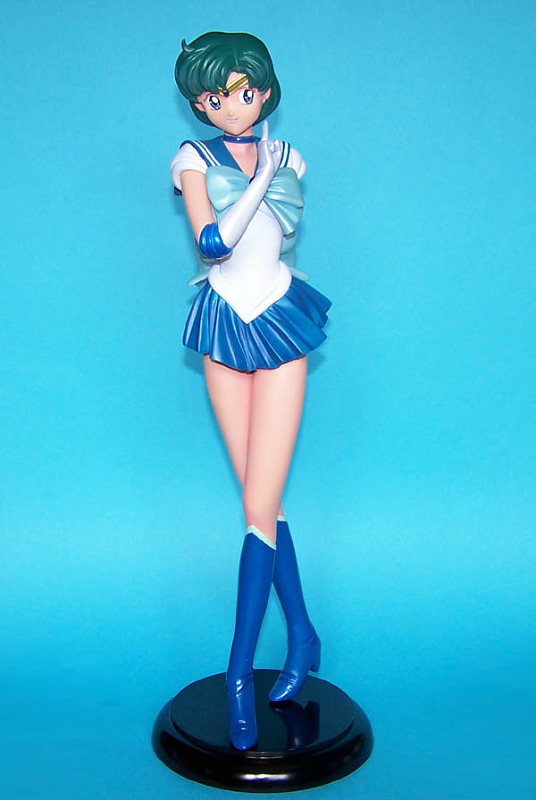 This figure was sculpted by BOME and features Sailor Mercury standing on a black circular base. 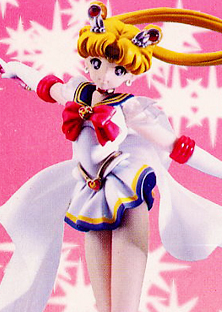 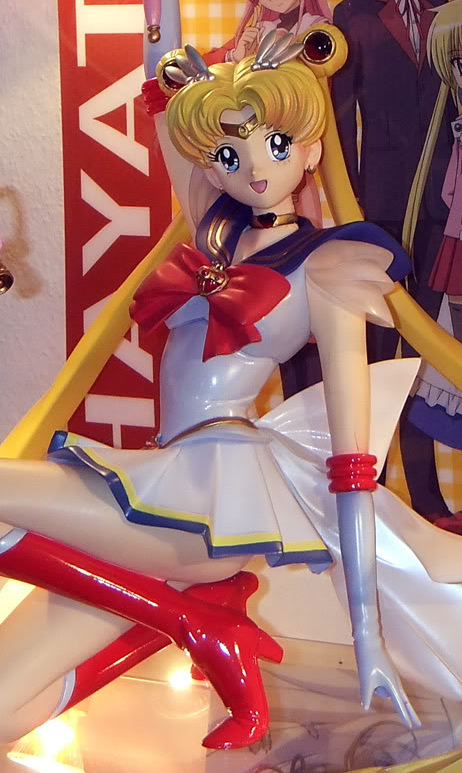 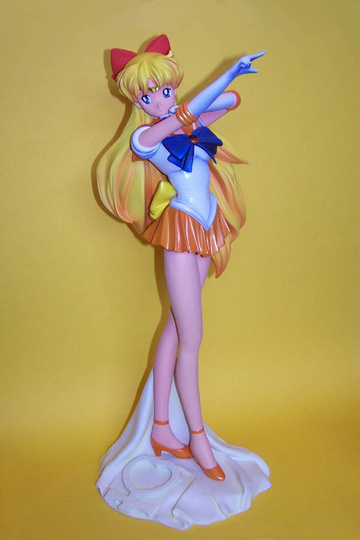 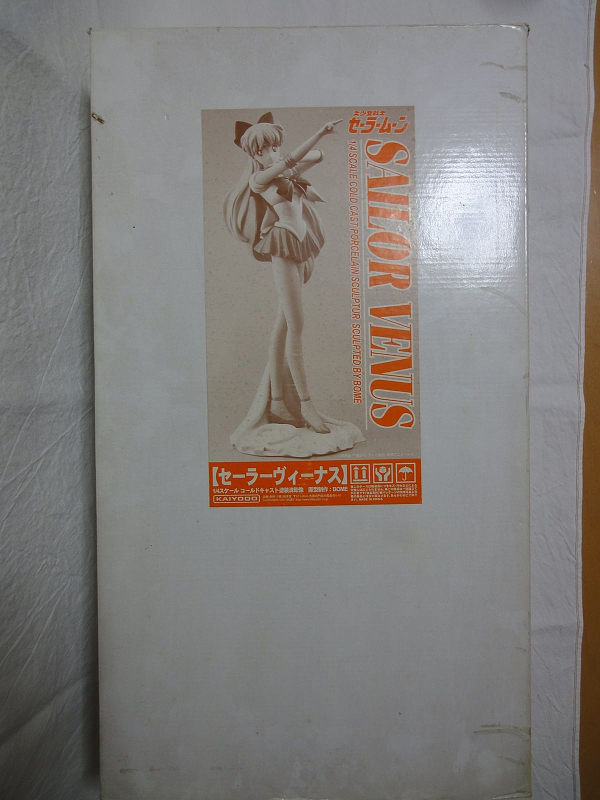 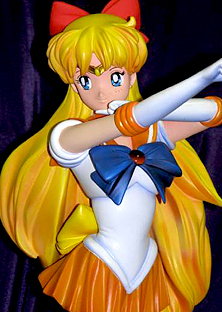 This figure was sculpted by BOME and features Sailor Venus striking her "Crescent Beam" pose. 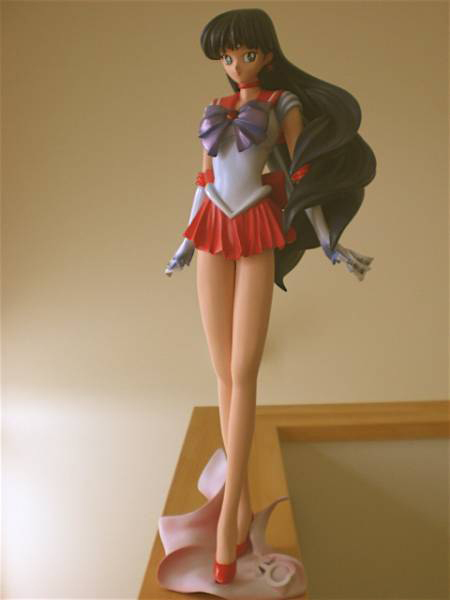 She stands on a base with her planetary sign. 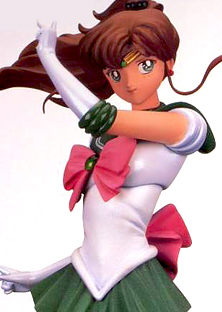 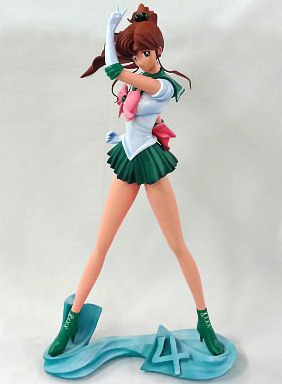 This figure was sculpted by BOME and features Sailor Jupiter striking a pose while standing on a base with her planetary sign. 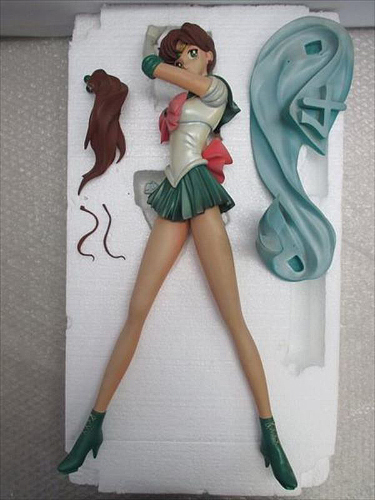 She has four parts that need to be assembled. 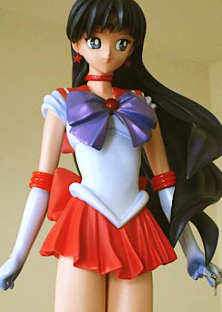 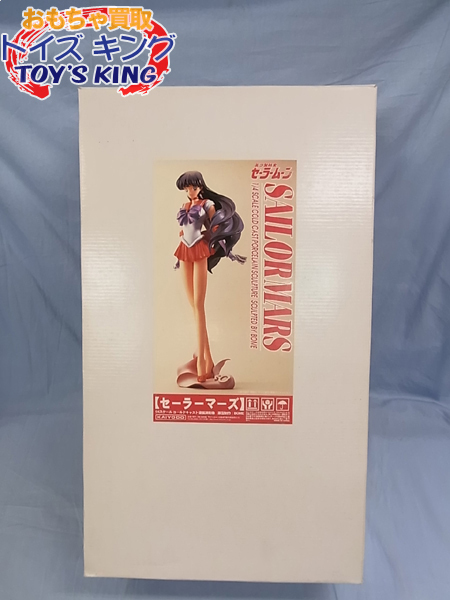 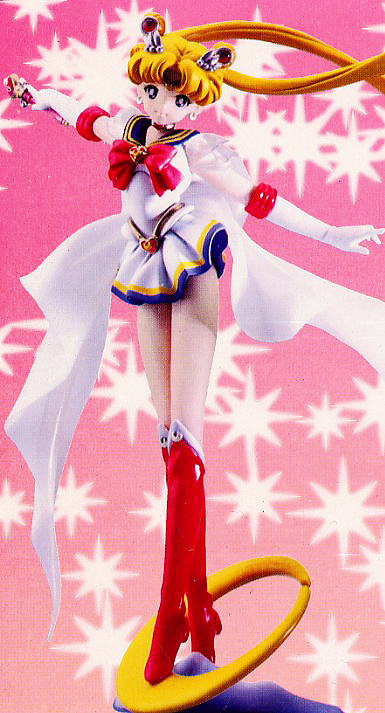 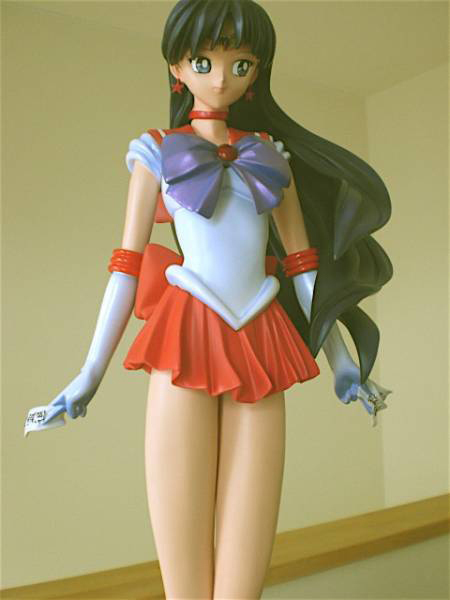 This figure was sculpted by BOME and features Sailor Mars standing on a base with her planetary sign. 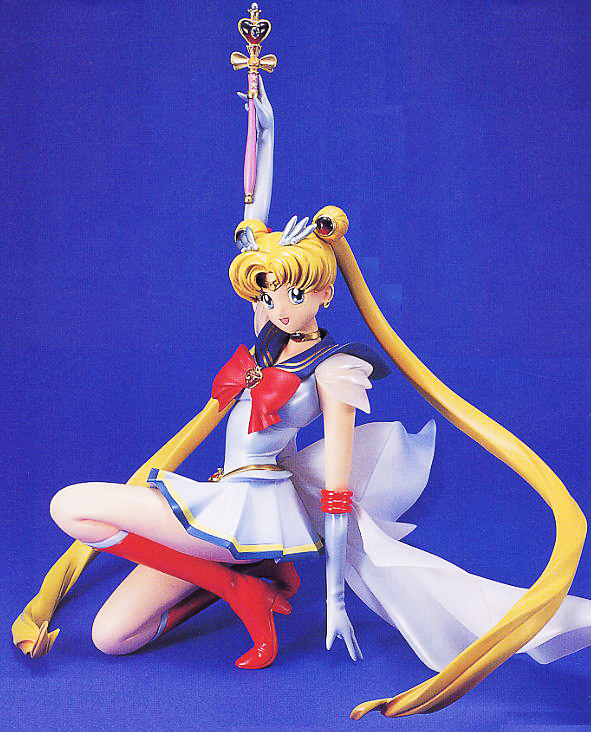 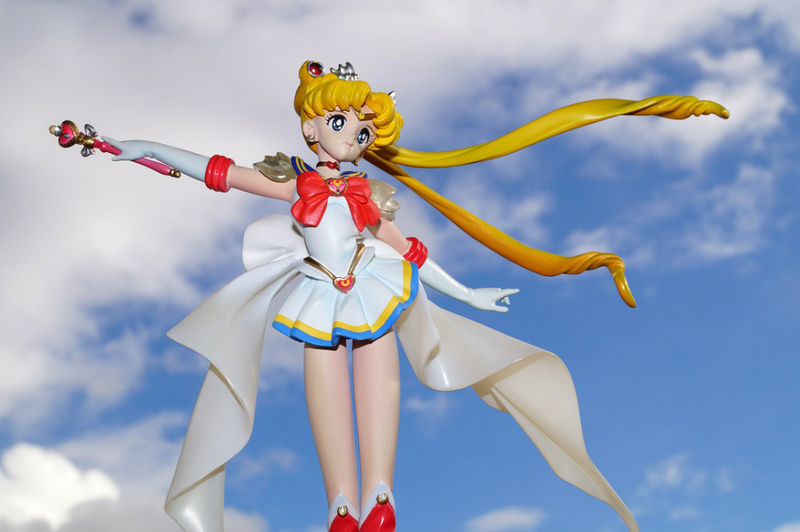 This figure was sculpted by Masahiko Kagawa and features Super Sailor Moon holding the Spiral Heart Moon Rod while standing on a yellow crescent moon-shaped base. 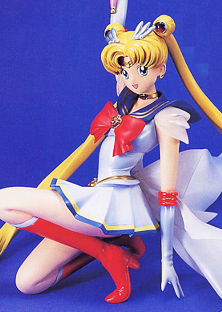 This figure was originally sculpted by BOME in 1995 and sold at Japanese summer events as a limited edition kit. 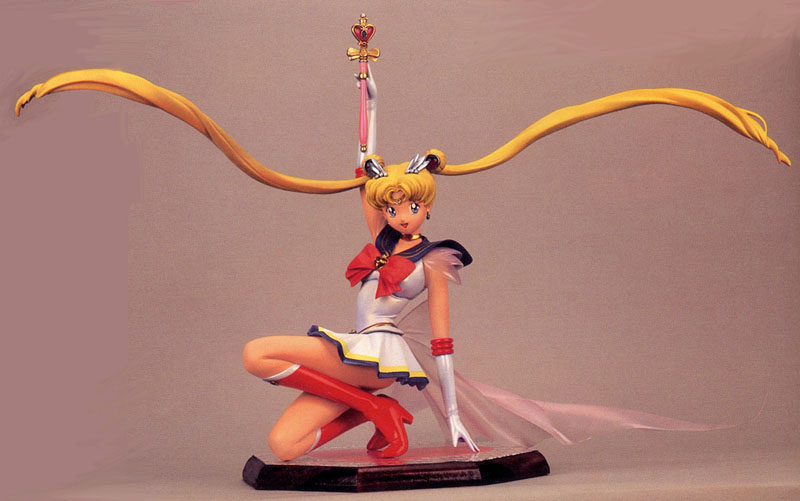 A second, non-commercial version was later created with the hair flying around, instead of hanging down. 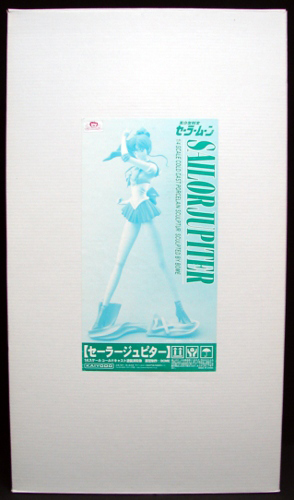 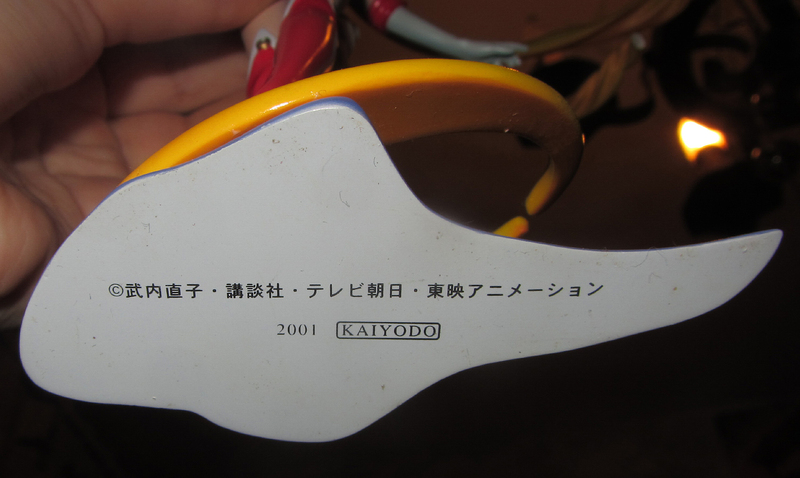 It was later released prepainted commercially in 2001 in limited quantities.